When your requirements for your new website don’t fit into an affordable web design package then you need to consider a Tailor made website, also known as bespoke web design. Rake Mark have years of experience in managing complex web projects and creating websites to very specific requirements for a wide range of clients, from National Companies to Government and NHS Service Providers to Smaller businesses in Staffordshire. So if your thinking that your website needs to do more than the average or you have some specific functions and requirements in mind then Rake Mark is your ideal choice. 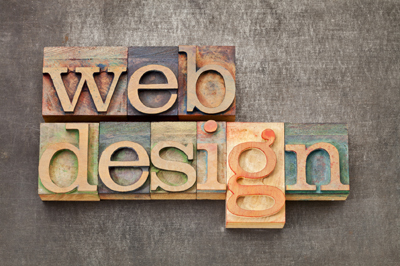 Bespoke web design requires more time to produce and will cost more than a standard web design package. But the benefit of a bespoke website is that you have something your competitors don’t. This is your competitive advantage. We have undertaken bespoke web design projects across the UK that have given companies an advantage over their rivals. Because of the nature of the work and the advantage it will give you, we have to respect a certain degree of confidentiality, but some example of our projects are below. A tailor made system for a local company to streamline their sales processes. When a customer called for a quote their details needed to be taken, the quote was calculated using Microsoft Excel Spreadsheets. Once the quote was calculated the customer was called back. This process took in excess of 30 minutes. If the quote changed, for example, for a different or less expensive alternative, then the quotation process would start again. We helped by designing a simple to use tailor made system that could take the customer’s quotation requirements and calculate the quote whilst they are on the phone. Changes to the quote can be built in an an updated quote is available instantly. The system calculates delivery costs, discounts and produces a wide range of reports. This company is the leader in their sector and the only company of its kind that can offer a quote whilst their customer is on the phone. We helped by creating a bespoke bespoke web based document management system that allowed the uploading, sharing and altering of documents with an audit trail that passed an on going third party security audit. This UK company provides financial planning software for Premier League Football clubs and other high profile clients. Their software support team were being inundated with support calls that required the same simple ‘walk through’ training over and over again. We helped by creating a secure, tailor made knowledge base system that allowed a customer to enter their question, attempt to find the answer and then log the support call if their issue was not solved. Support queries were further reduced by using screen casts to provide a ‘walk through’ tutorial of common issues and also allowed the support team to manage customer queries effectively. With a web design package its possible to publish a price on our website and if there any variations to this we can see quickly what is going to be needed and how much more this will cost you. Because of the nature of a tailor made website we cannot do this with bespoke web design. A small amount of flash animation can cost under £100 a flash game can cost a few hundred pounds. A complex system that tracks your customers on your website and allows you too analyse their journeys will cost more. Smaller projects can be, and often are, completed for around £1000 but most projects cost more than this. We have completed projects that take a number of months and cost in excess of £10,000. We are always happy to offer an initial consultation for our bespoke service free of charge. All our charges are transparent, fixed ahead of time and no work is ever undertaken without your agreement in advance, so you can remain in control of your project and your budget. Simply call us on 01785 256 222 or fill in the handy online form to discuss your requirements and arrange a free, no obligation, risk free consultation.